Go to the menu in upper-right hand corner of your screen. 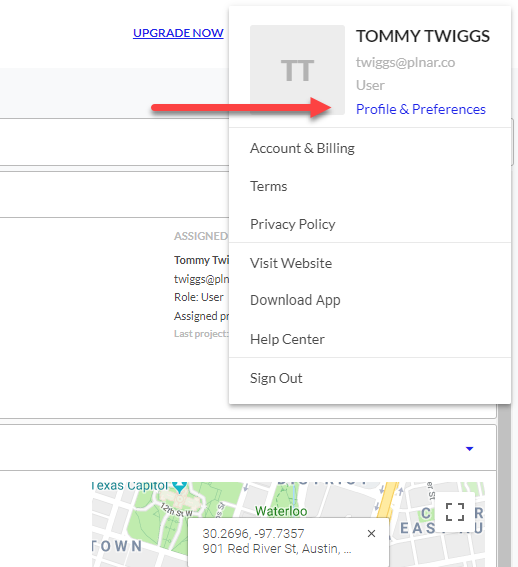 Under the menu options, click the "Profile & Preferences" link. Select your unit of measure preference & save. Presto! Measurement data will now be displayed in your chosen format.